A massive thank you to The Tiger Nut Company for my first taster of Tiger Nuts! These little nibbles are not a actually nuts, they're grown in the ground, like a potato and have a similar taste and texture as a coconut. These little beauties boast many a nutrition buzz word..... they're gluten free, lactose free, raw, organic, sugar free, vegan, paleo, non GMO and the list goes on.. So, why not make this delicious dessert to suit even the strictest nutrition nut (it's super simple and and packed with fruit so it'll count towards your 5-a-day too)! Empty the coconut into a bowl, spoon out the passion fruit flesh and mix in. Stir in half the dissolved gelatine and pour the mixture onto the base. Leave in the fridge to set (around 30mins). Mix the rest of the dissolved gelatine into the mango puree and pour onto the set coconut layer. Leave to set for another 30mins - 1 hour. 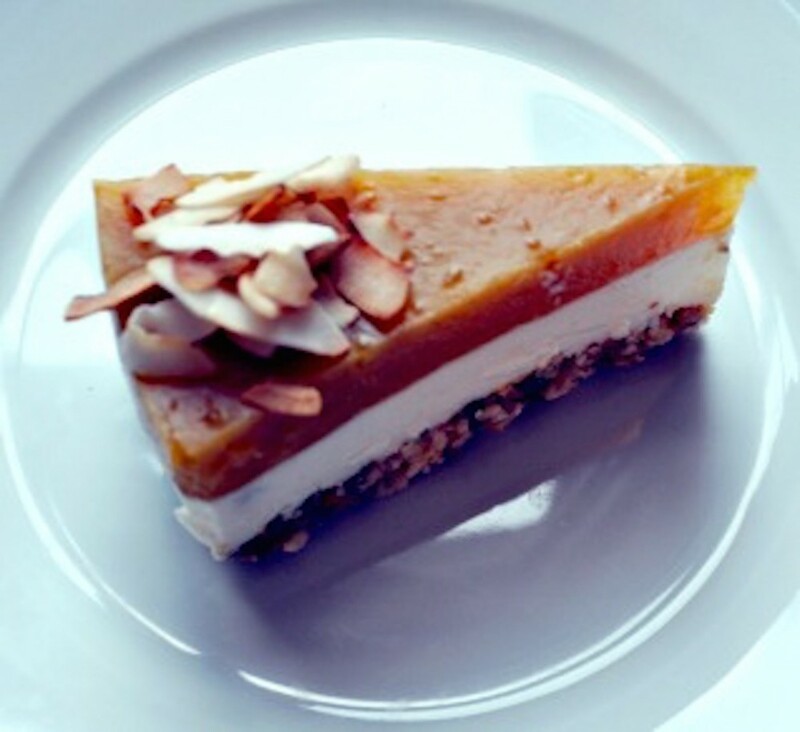 Top with some toasted coconut flakes if you're feeling fancy, slice, serve and feel smug! Go on, get some (non) nuts! Dietitian to be, blogging about nutritional news and nonsense. Wow!! What an amazing recipe- I'll definitely be trying this one!